Once you have been assigned to a placement as either a Site Assessor or Institutional Advisor, you will be able to track the student's progress, complete assessments, and take surveys associated with the placement. 1. Click on the Main Menu. 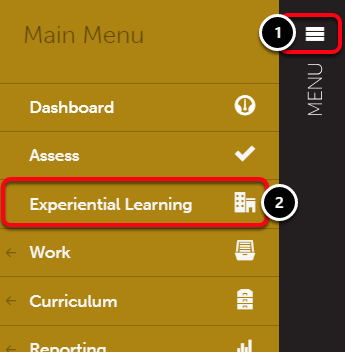 The 'view' screen for a placement provides an overview of the placement, as well as the opportunity to begin assessments and/or surveys (if applicable). 3. Click on the placement to reveal its options, and select View. At the top of the 'view' screen, you can review the placement's details. This includes information about the candidate, institutional advisor, site assessor, duration, and more. 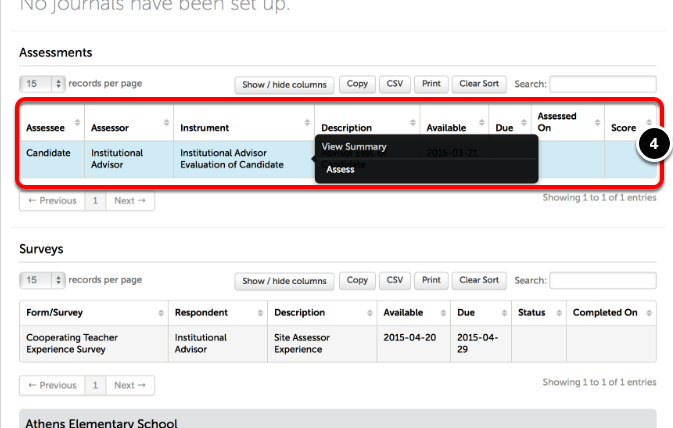 Lower on the 'View' screen are planned assessments and surveys (if applicable). 4. Click on the appropriate Assessment/Survey to reveal its options, and select Assess or Take. NOTE: Assessments and Surveys for a placement do not have to be accessed from this screen. 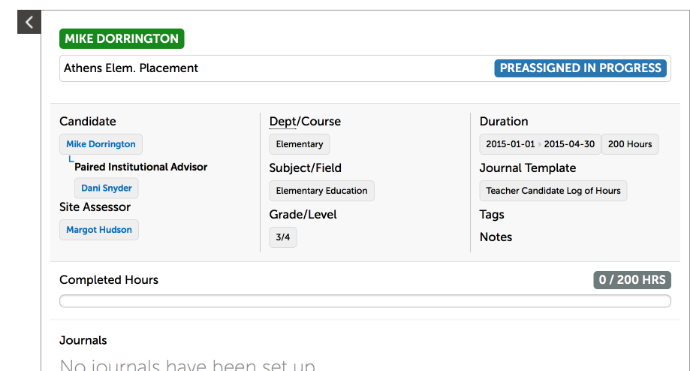 They will also be available on your regular Pending Assessments screen, or on the Dashboard.